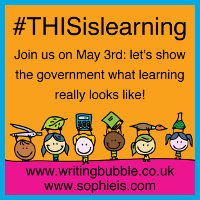 As well as fully supporting the kids’ strike on 3rd May, we want to use that day and the run up to it to flood the internet with inspirational learning moments: images, stories and activities that show just how much more there is to learning than the narrow focus of the SATs allows. 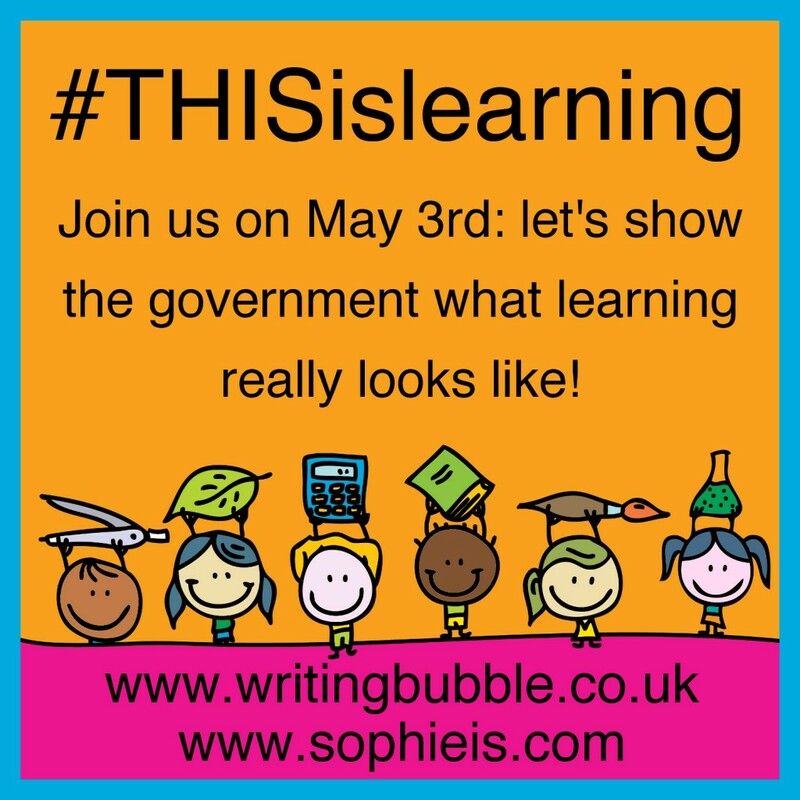 Whatever the age of your child, whether they are at school or nursery or educated at home, we would like you to help us show the government what learning really looks like, using the hashtag #THISislearning. If you have a blog, you can link up your posts below to create a hub of inspiration in the run up to 3rd May and share what you and your child(ren) get up to on the day itself. If you are not a blogger then don’t worry – you can share your ideas and activities on your social media accounts, using #THISislearning on Facebook, Twitter and Instagram. You can find out more about why we’re taking this action by reading Maddy’s post No, Mr Cameron, No, which inspired us with the fantastic response it received from parents and teachers alike, and the follow up, This is learning, Mr Cameron, as well as Sophie’s post Why SATs are Bad for our Children, reflecting on the current situation from the perspective of ten years of teaching as well as life with a three year old. Please use the badge below on your post to spread awareness of the campaign (copy and paste the HTML code to add it to your site). We will share your posts on Twitter in return. If you share your post on social media please use the hashtag #THISislearning. If you tweet us a link to your post @writingbubble and @sophieblovett then we will RT. Link up your post below – just click on the blue button that says ‘add your link’ and follow the instructions. We look forward to reading your posts. This entry was posted in Pondering and tagged #THISislearning, campaign, education, learning, linky, SATs on 15 April 2016 by Maddy.